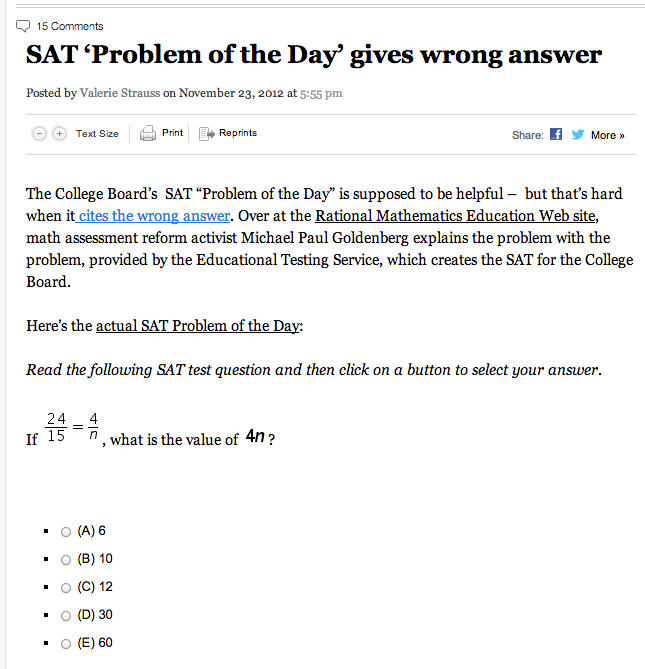 Thanks to Mr. Turner for Tweeting out this story about a mistake on the College Board SAT Problem of the Day! Can you do this in your head? What did you get? Tell me in class or Tweet @pmm888.